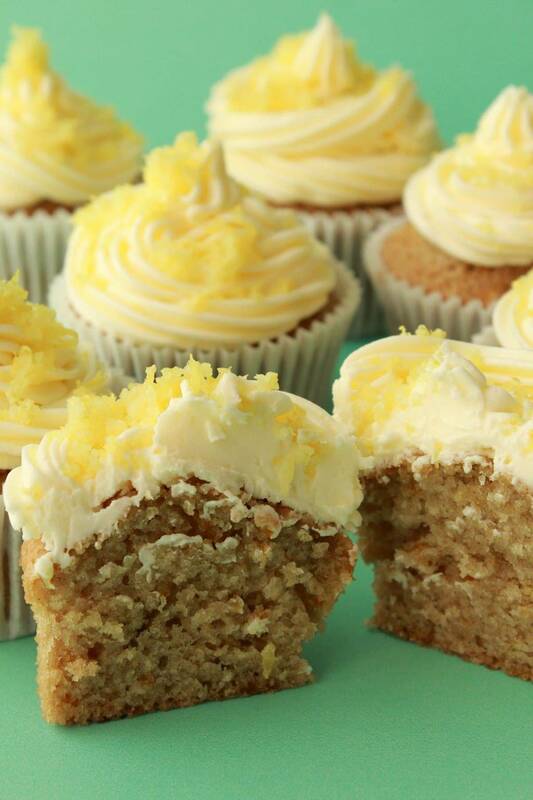 Light and spongey vegan lemon cupcakes with lemon buttercream frosting. 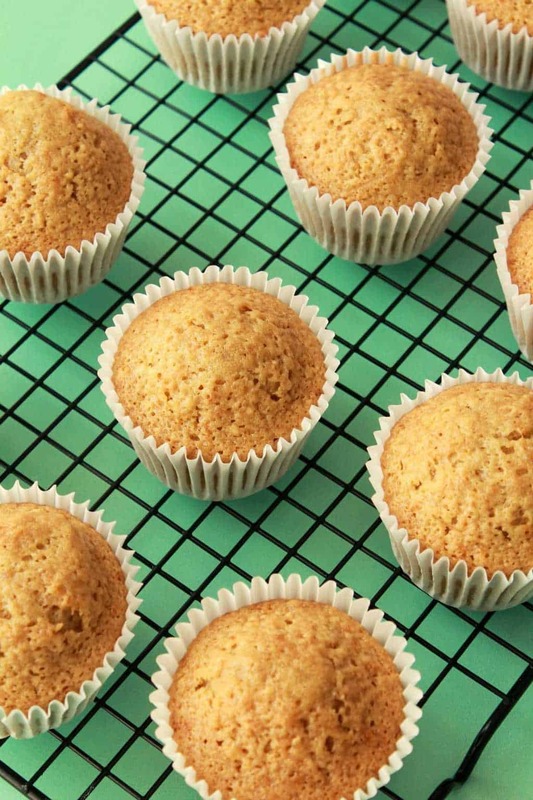 Packed with lemon flavor, deliciously moist and super simple to make. 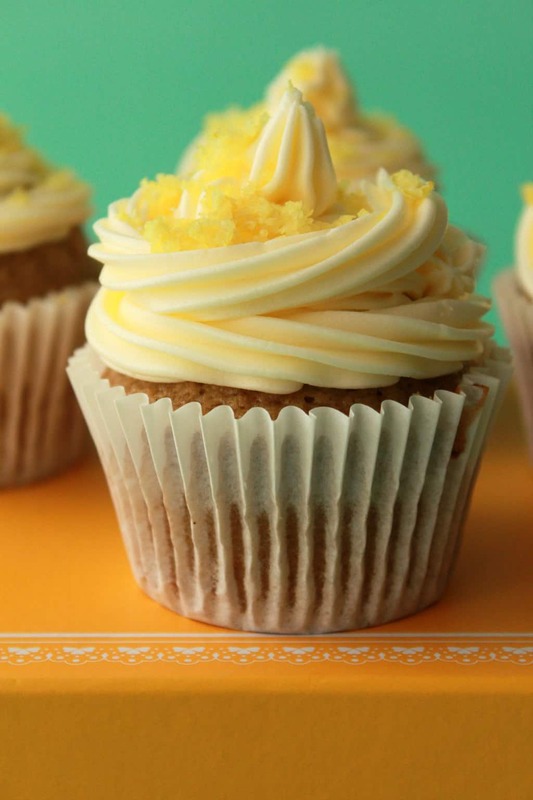 These vegan lemon cupcakes with lemon buttercream frosting and lemon zest are so divine, they are my latest favorite cupcake in the whole entire world. 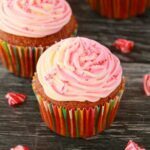 Well, of course that is until I bake one of my other absolute favorites in the entire world – such as – any of the other cupcakes on this site. Love them all I must admit. These were super good and I’m a big fan. As is everyone else who ate them. That being said I didn’t have the easiest time in making these. I had the idea of using lemon juice (in quite a large quantity, maybe that was the mistake) to make these, but hey, it just didn’t work out. The moment I added that lemon juice to the batter it fluffed up in a way that just didn’t look right, so I was highly sceptical even before they went into the oven, and I wasn’t wrong! They came out just as ‘not quite right’ as they went in. 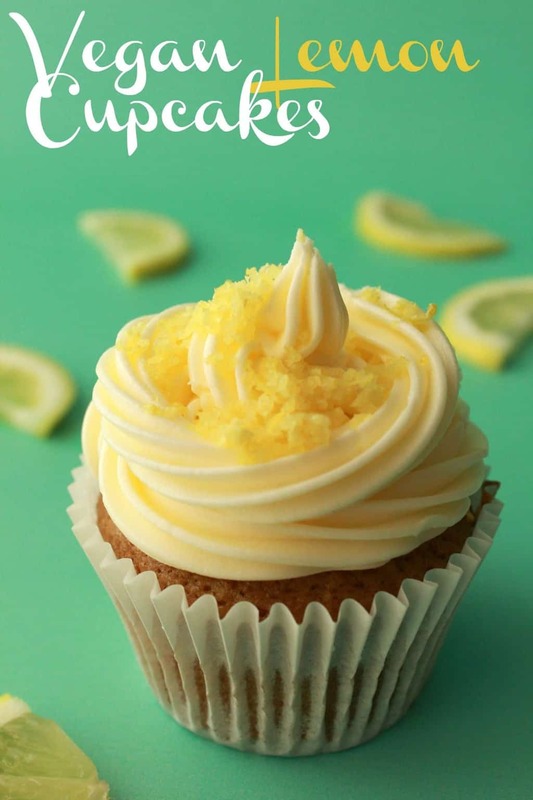 So I had to ditch the lemon juice idea and instead went for lemon zest and lemon extract to create the deliciously lemon flavor for these cupcakes. 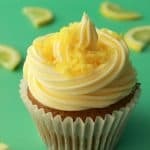 The lemon buttercream ended up being where the lemon juice got a chance to shine! 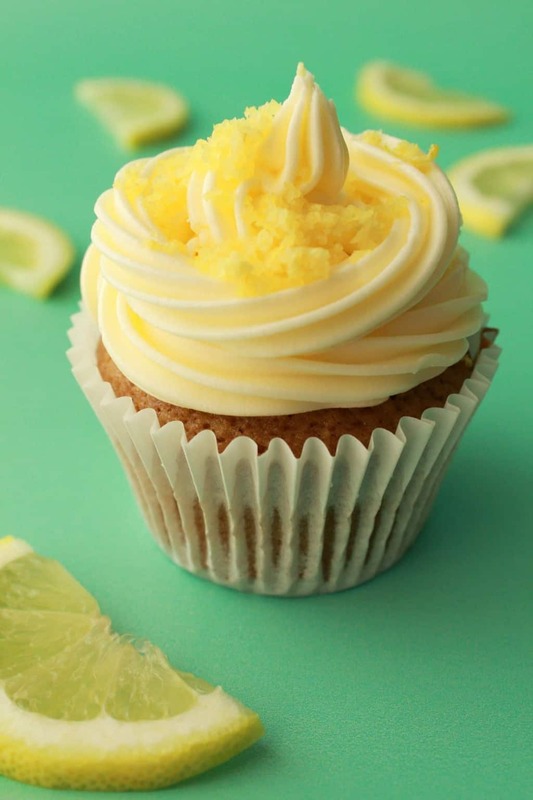 The lemon buttercream has lemon juice and lemon extract and has a fabulously lemony taste, and topped with lemon zest there is no doubt that these are lemon cupcakes! 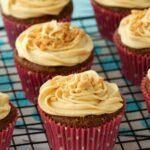 I adapted the recipe from my vegan vanilla cupcakes which is just the best recipe! Perfectly moist with a light and spongey texture. 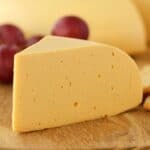 Keep them covered at room temperature where they will stay fresh for a couple of days, or keep them in the fridge (covered) where they will last up to a week. 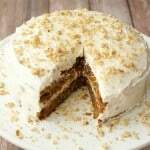 And if you love lemon flavor then check out our vegan lemon cake and our vegan lemon pie. 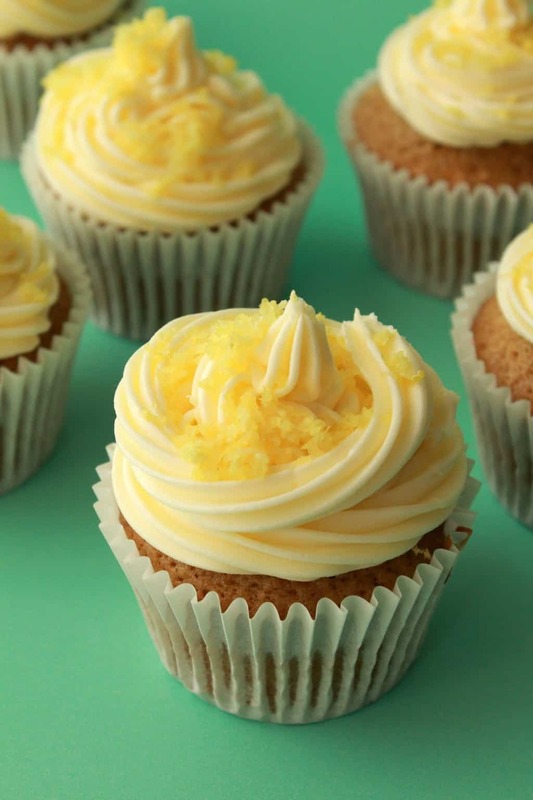 So let us know what you think of these lemon cupcakes! 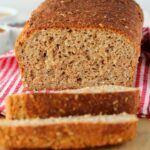 Leave a comment and rate the recipe if you’ve made it! And definitely sign up to our mailing list – you’ll get a free book with 10 great recipes – and you’ll stay updated with all our latest recipe postings! Sift the flour into a mixing bowl and add the sugar, baking soda and salt. Then add the soy milk, vegetable oil, vinegar, vanilla, lemon extract and lemon zest. Whisk briefly with a hand whisk to combine properly and remove any lumps. 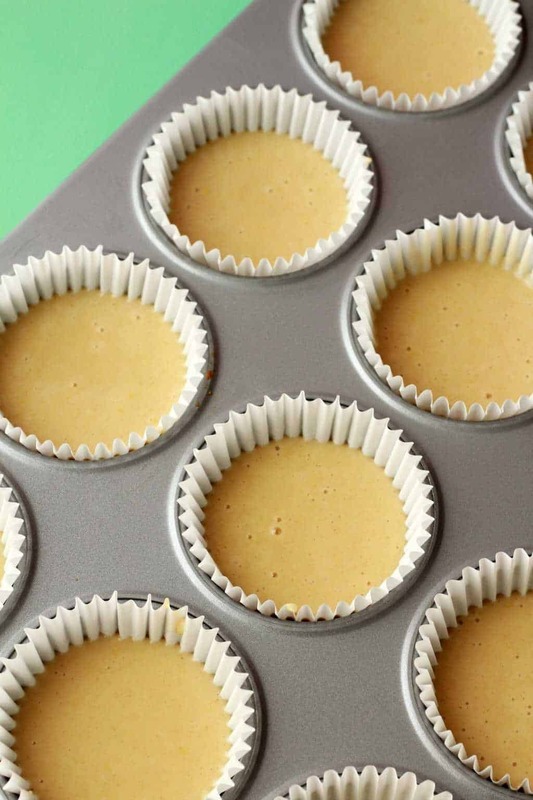 Line a cupcake tray with cupcake liners and divide the batter between them. When baked transfer to a wire cooling rack and allow to cool completely before frosting. 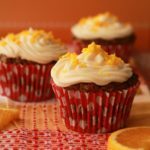 Prepare your frosting by adding the powdered sugar, vegan butter, lemon juice and lemon essence to an electric mixing bowl. Start at slow speed and gradually increase speed until smooth and thick. If it’s too thick, add a little more lemon juice (a couple of drops at a time) until you reach the right consistency. 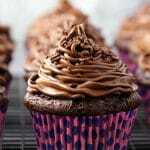 Pipe the frosting onto the cupcakes and then decorate with some lemon zest. Adapted from our Vegan Vanilla Cupcakes. I made these last weekend. Incredibly sweet and tangy! 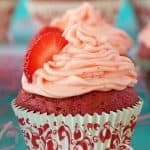 I would say that unless you are a big fan of lemon you should make these with a vanilla/chocolate/strawberry frosting. 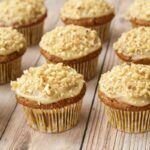 I loved them, but the lemon frosting was a little to much lemon for my husband. I think the cake part of these is the real winner; so perfectly moist and sweet, it was the best “cake” part of a cupcake I have ever had. Do not write these off if you don’t want the lemon buttercream. Just make them with a different flavor frosting. They are well worth it! Thank you for the recipe! Hi, instead of soy milk can I use regular milk? Is there anything I can substitute the vinegar with as I only have malt vinegar. Hi Hannah, the acidity of the vinegar reacts with the baking soda and causes the cupcakes to rise so you should be able to use lemon juice instead since it’s also an acid ingredient, though I haven’t tried it in this recipe. 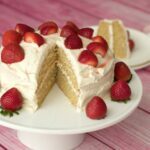 Hi, I’m wondering what ratio to use to substitute all purpose with cake flour ? Would this recipe still work? Hey Alison how many cupcakes will the above recipe make ?